Here’s a super hot one for Prime Day 2018: you can get a $60 Spotify gift card for a price of just $47.40. Quantities are extremely limited. If your platform of choice for listening to music is Spotify, then you already know how important a Spotify gift card is to you. For an extremely limited period of time, you can pick up a $60 value Spotify gift card for a price of just $47.40 right from Amazon. 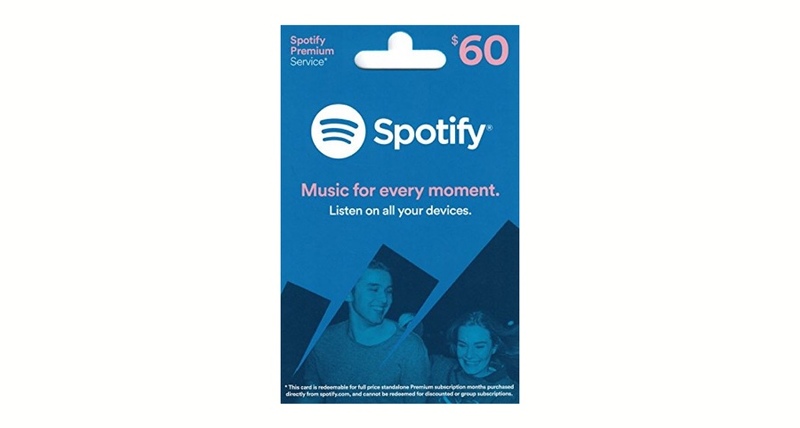 You can use the gift card towards anything that lives on Spotify. New members can use the card against a few months’ worth of subscription, it’s entirely up to you. In order to avail this deal right now, just head over to the link below. Remember, make your move real fast if you want to bag this deal as pieces are extremely limited. Don’t be surprised if the gift cards run out as soon as you click on the link below.